That was what my grandmother would say whenever she learned something new, and considering she lived to be 98, it was usually only on rare occasions. However, I’m sure she would have said it, just as I did when I received a 32 oz jar of Tropical Traditions Gold Label Virgin Coconut Oil. 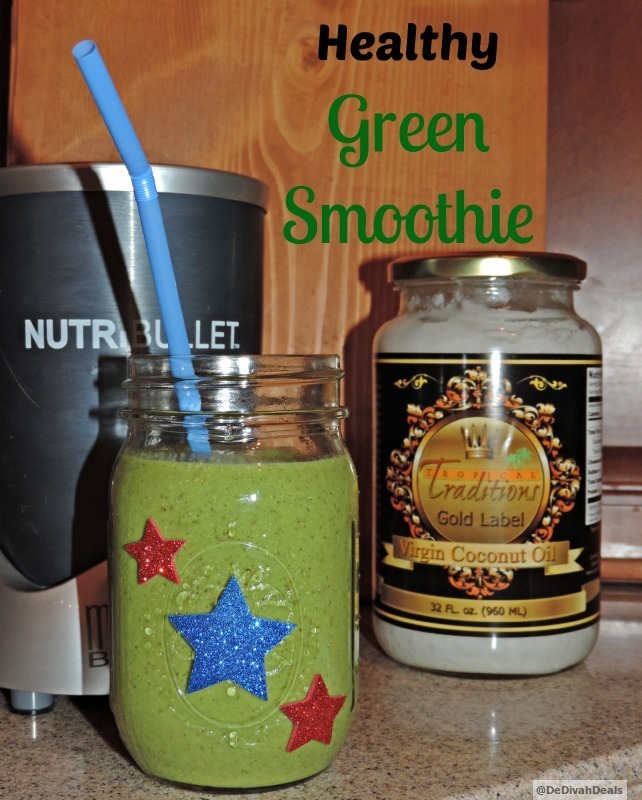 One morning for breakfast, I decided to try it in a green smoothie so I added a tablespoon of Tropical Traditions Virgin Coconut Oil to a handful of kale, ½ a banana, and a teaspoon of flax seeds, when mixed with water it became a tasty tropical coconut flavored smoothie. Hubby and I now use it every morning in our smoothies and although we may switch up on the fruits we use, it’s never without the Coconut Oil. 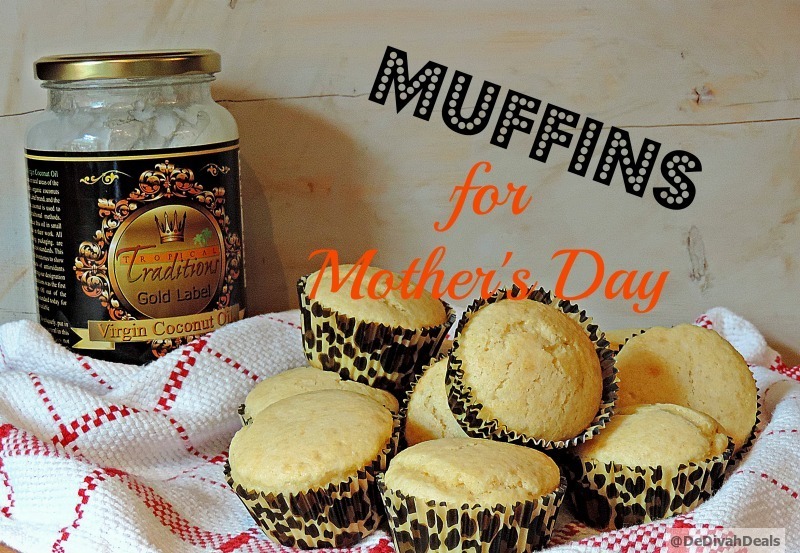 Mother’s Day was a great time to try it as a baking ingredient. I used a box of muffin mix and substituted the vegetable oil with Virgin Coconut Oil using the same measurements, however, it needed to be melted first, so a few seconds in the microwave did the trick. I allowed the milk and eggs to come to room temperature before adding the Virgin Coconut Oil so that it wouldn’t solidify in the cold batter. My hubby and mini men ate them all except two which I had to hide in order to have them later! 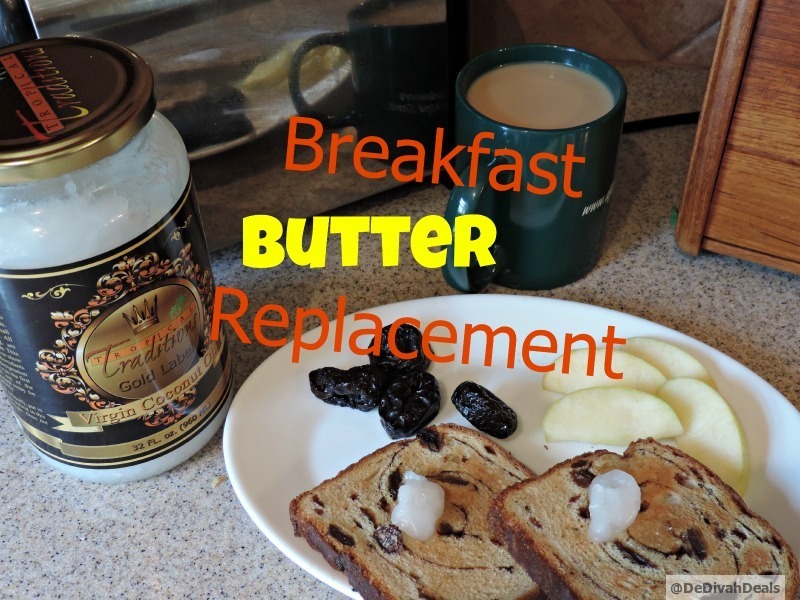 I also use it as a butter replacement on my morning toast. Mother’s Day weekend was also a good time to try and make a natural body scrub. 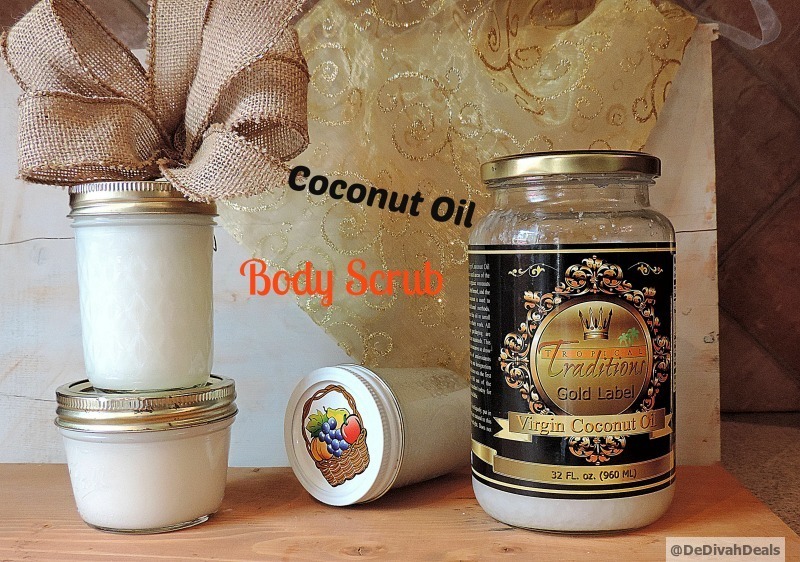 It was very easy to make using two cups of Tropical Traditions Virgin Coconut Oil blended with a cup of white sugar and 5 drops of Essential Oil. This mixture made 3 small jars of the body scrub, which is way more than enough for me, so I will probably be gifting a jar to a friend and then saving one for Father’s Day as a gift to hubby. Like I said, there are over 100 ways in which to use Virgin Coconut Oil so it will definitely be a staple in our house both in the kitchen and the bathroom. 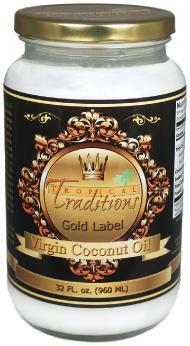 How about you, what are some ways in which you would or have used Virgin Coconut Oil? 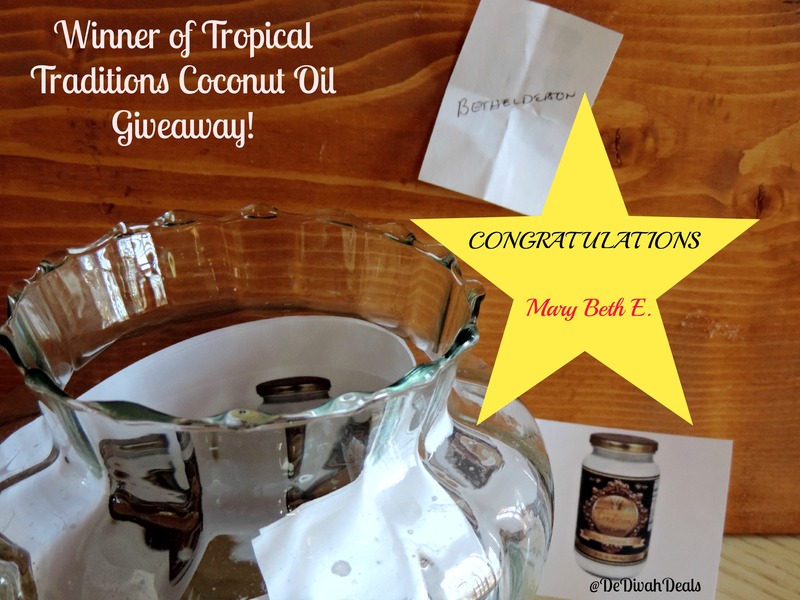 If you’ve never tried it, here’s your chance, Tropical Traditions, has offered to send a 32 oz jar of Tropical Traditions Virgin Coconut Oil to one of my lucky readers. o Find Giveaways and Deals!